Buffalo Valley Regional Training Center – Mission: To provide a world-class training environment for elite level wrestlers to prepare to represent their country on the World and Olympic stage. 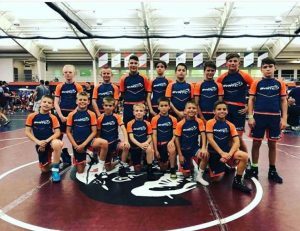 Lewisburg, Pennsylvania — Established in 2015, the Buffalo Valley Regional Training Center (BVRTC) will create a comprehensive and competitive environment where elite-level wrestlers can train to perform on both the Olympic and World stages. In addition to providing elite-level training, we will mentor and teach youth wrestlers within 50 miles at no cost. GetFit Program Now Added to Calendar! Will Be A Free Opportunity for Wrestlers and Non-Wrestlers! Sign Up for Tournaments Today!